The community estate in Texas belongs to both spouses, regardless of what each of the spouses have contributed both monetarily and non-monetarily. When a divorce occurs, the community estate and community debts are divided. Division of property for some couples might be fairly straightforward. However, for others, such as established, older couples who have a significant amount of wealth – property division might be prone to disagreements and dishonesty and be quite complicated. 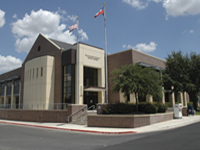 At my law firm in Round Rock, Texas, I represent high net worth individuals who are undergoing a divorce. I am very knowledgeable in regards to the complexities of divorce, the best methods for uncovering what the true nature of a person’s assets are, and what the best strategies are for obtaining favorable results for my client. Community property – which is the property as well as the debt that has been accumulated over the course of your marriage – belongs to both of the spouses. It undergoes division under Texas law. Separate property that was owned before the marriage, inheritance and gifts are not required to undergo division. All separate and community property needs to be identified first. While it is easy to identify tangible property like your cars and family home, it might be harder to locate or identify other kinds of property. In some cases, one spouse might try to hide her or his assets in secret accounts or have a third party hold them for “safekeeping” throughout the divorce proceedings. As your attorney, I can work with other highly trained professionals, which include forensic accountants, business evaluation consultants and financial appraisers to trace, uncover and identify all, assets, debts and property that should considered as part of the property division process. Dividing the assets of established individuals can be challenging. However, with my assistance, we will be able to help get you through this situation as positively and seamlessly as possible. With diligent advocacy and many years of experience, I seek out a resolution that is timely through collaborative, settlement and negotiation methods. Although it is unlikely that you will go to trial, if it is in your best interest, I won’t hesitate to do so. Numerous complexities can occur whenever a couple has been married for many years and own various kinds of valuable assets and property. I strive to work closely with my clients in a supportive, communicative and open environment to help them achieve their division of property goals. Give my law firm in Round Rock, Texas a call at 512-774-6696 to get a personal consultation scheduled so that we can discuss your various options with you. For most couples who are going through a divorce, it is a straightforward process to divide up the community estate. Typically the property inventory for most couples will include two cars, a home that has some equity, maybe a 401K, some cash in a bank or other type of financial institution, a few credit cards, and the personal belongings of each party. However, dividing a high net worth couple’s community estate poses some unique challenges that requires a competent high net worth divorce lawyer in Round Rock. The assistance of forensic accountants, financial appraisers and other professionals are often required in these cases – in addition to a lawyer to “trace” and properly value the couple’s assets. If one party owns a professional practice – such as a medical or legal practice – or stock options, then a qualified expert will need to value those assets. Like with any divorce, identifying all of the couple’s community and separate property is the first step that needs to be taken in the property division process. Under Texas law, all of the property owned by either of the spouses during or on dissolution of the marriage will be assumed to be community property and therefore subject to being divided by the court. With a regular divorce, both parties will be able to identify all of their assets. After all, it’s hard to hide a car or house. With a high net worth divorce case, by contrast, it can be much trickier to identify the community estate. One of the reasons for this is that the extent of the community estate is complex and vast, which makes transparency harder. One spouse will frequently have more control over the couple’s finances and begin exercising control via a network of lawyers and accountants. Mischief may ensue when a marriage sours. It isn’t uncommon for one or both spouses to try to hide assets (for example in secret or offshore accounts), give a third party community assets (maybe to a child from an earlier marriage, to a mistress or business partner), or stonewall the process when asked to provide information. Those factors often make it significantly more expensive and challenging to identify the community estate for a high asset divorce case.